Alice Coote sings French chansons at Zankel Hall. Hot house: The mezzo Alice Coote. Photo © IMG Artists. The grand tradition of French art song (usually referred to as chanson or melodie) is not as instantly familiar as the German lied. In this country, French music of the Romantic and Modern era is usually heard in the concert hall, ballet theater or opera house, with the vast trove of songs relegated to academics or silently ignored. 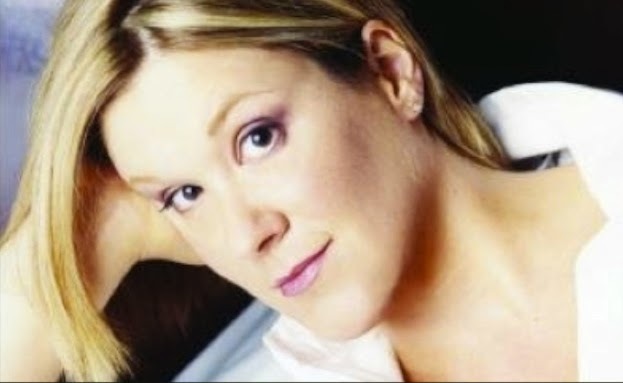 On Thursday night, English mezzo-soprano Alice Coote sought to correct that oversight with a vast and wide-ranging program of chansons, plucked and proudly displayed in a recital at Zankel Hall, the modern recital space tucked neatly beneath its parent, Carnegie Hall. Impresario Michael Capasso may save two failed opera companies. in Lincoln Center's intimate Rose Theater. Act I of Tosca. Photo © Teatro Opera di Roma. NEW YORK CITY OPERA RENAISSANCE. 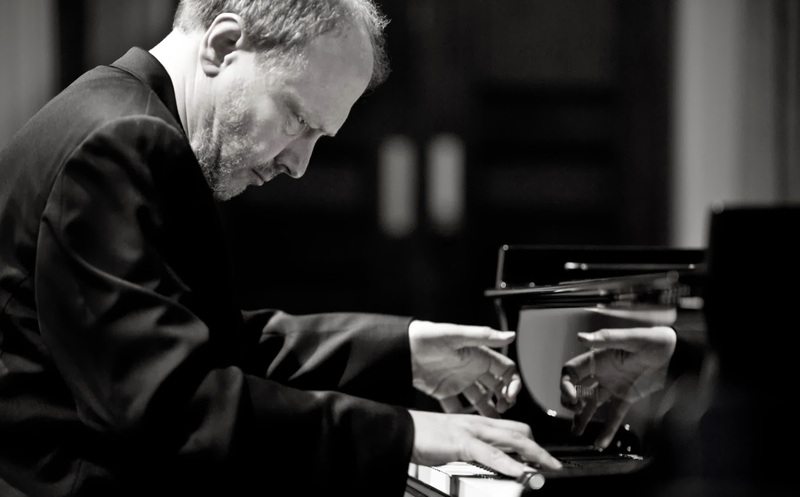 Marc-André Hamelin returns to Zankel Hall. Any recital by Marc-André Hamelin in New York City is greeted with eager, one would say even fevered anticipation by piano aficionados. Mr. Hamelin may not have the international fame of Yevgeni Kissin or Lang Lang. He has been invited (yet) to join Metallica onstage. But this artist has something more than virtuosity. He has musicianship--and a willingness to explore the difficult corners of the piano catalogue where other artists so often fear to tread. Ildar Abdrazakov takes on a barbarian horde in this Russian epic. 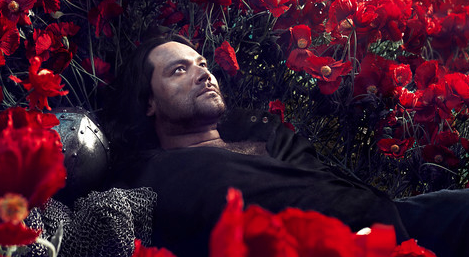 Beautiful dreamer: Russian bass Ildar Abdrazakov sings the title role in Prince Igor. 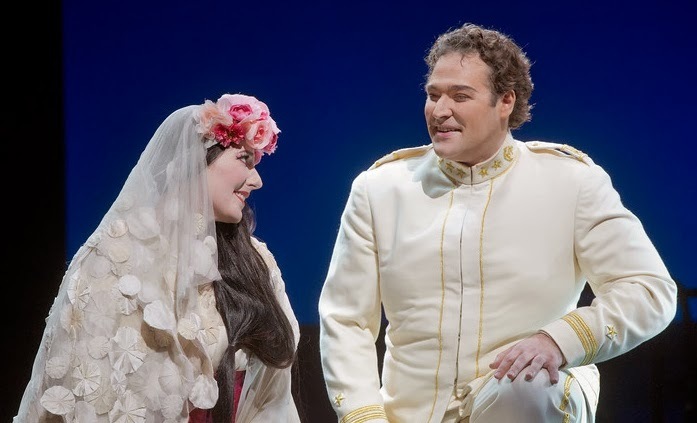 Photo by Micaela Rossato © 2013 The Metropolitan Opera. Star Russian bass Ildar Abdrazakov is the principal attraction in the Met's new production of Prince Igor. This new production by director Dmitri Tcherniakov is the most ambitious offering in the second half of the 2013-14 opera season. Recordings Review: Famous Last Words? 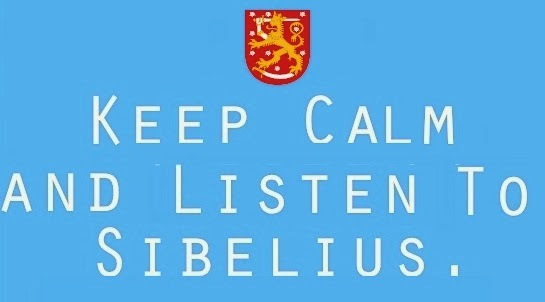 On Sibelius, silence and the "death" of classical music. Sage advice from your favorite blog. As the Internet erupted in a swirl of argument following the announcement of the "Death of Classical Music" in a recent issue of Slate, things have been a little bit more subdued here at the Brooklyn apartment headquarters of Superconductor. Frankly, I've been down for the count with a persistent head cold, acquired (ironically) during Act I of last Wednesday's La Bohème. The Met revives La bohème...again. Rodolfo (Joseph Calleja) woos Mimì (Maija Kovaleska) in Act I of La bohème. At the Metropolitan Opera House, La bohème is as much of a tourist attraction as the Swarovski chandeliers and Marc Chagall murals. 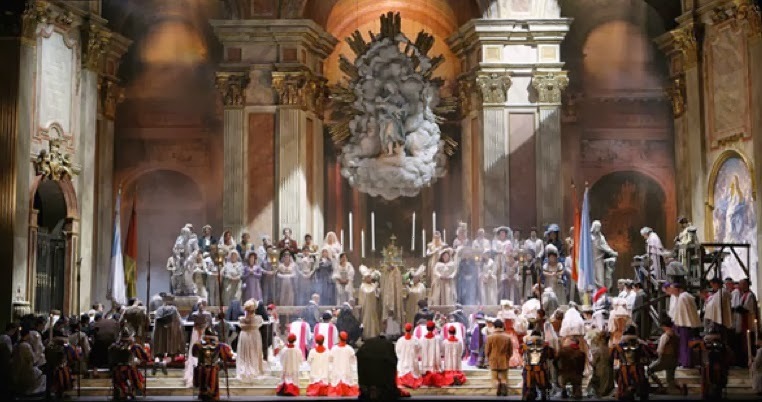 Franco Zeffirelli's production of Puccini's opera remains unassailable: an ode to the excesses of that Italian director and the enormous resources mustered by this formidable organization. The lives of these starving artists play out on sprawling, still-handsome sets, that are lovingly rebuilt and repainted for each revival. With its Act II crowd scenes and Act III snowfall, it is easy to forget that the singing should come first. The Met's new Butterfly spreads her wings. Cherries jubilee: Amanda Echalaz is radiant as the Met's new Butterfly. Madama Butterfly is cursed twice. The role is long and difficult, with plenty of exposed passages where the voice has to lead the orchestral accompaniment and convey the wide range of emotions suffered by the title character. The fact that it is one of the most iconic and best-loved parts in the repertory only adds to the challenge for any singer. Adding one more turn to the screw is the popularity and success of this production by the late Anthony Minghella, one of the few new productions of the Peter Gelb era to receive universal praise from the finicky Metropolitan Opera audience. Opera Lafayette returns to Lincoln Center. A scene from the Fall 2013 performance of Les Femmes Vengées. 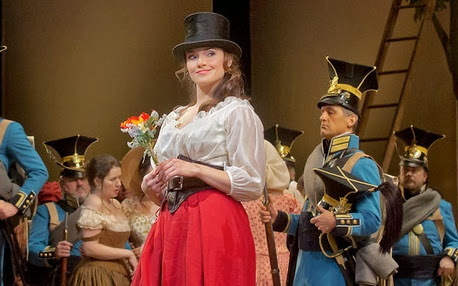 Photo by Louis Forget © 2013 Opera Lafayette. 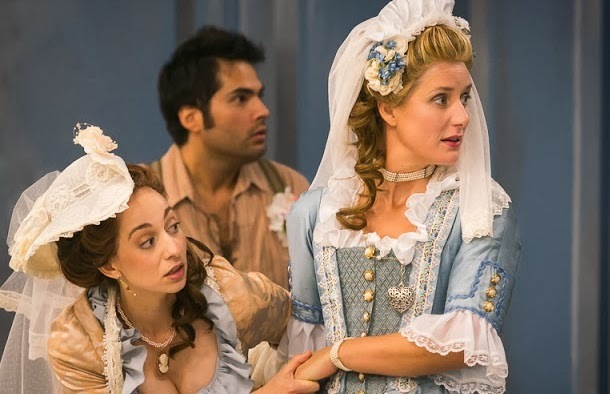 This week marks the return of Opera Lafayette to New York. This bold and justly celebrated Washington DC-based ensemble offers intimate operatic performances of excellent quality at Lincoln Center's Rose Theater, the venue that is normally home to Jazz at Lincoln Center. An Italian conductor who defined opera and symphony. Precision and refinement: the conductor Claudio Abbado. Claudio Abbado died today at his home in Bologna, Italy, according to a report in the New York Times. 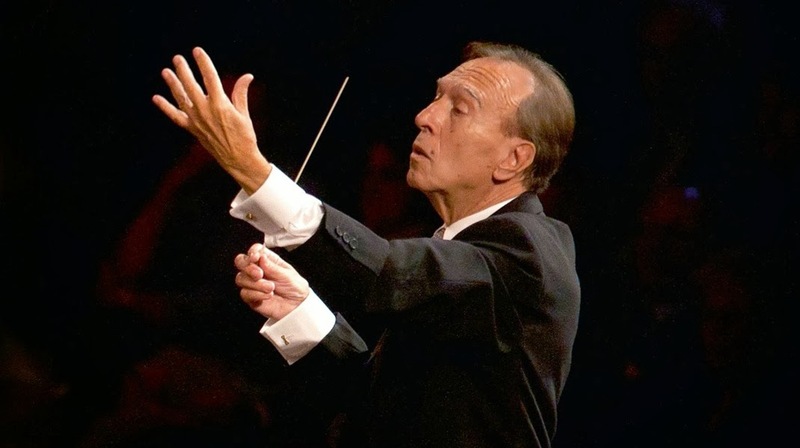 In a career spanning more than half a century, Mr. Abbado served as music director of La Scala, the London Symphony Orchestra and later the Vienna State Opera and Berlin Philharmonic. Mr. Abbado passed peacefully following a long illness, the Times reported. He was 80. Esteban Montejo, the subject of Hans Werner Henze's El Cimarrón. The death of German composer Hans Werner Henze was one of the significant events of 2013. A cosmopolitan figure of towering influence, Henze's operas and symphonies pointed a way forward in the latter half of the 20th century, and yet his vast output for the stage remains mostly unknown to the average opera-goer. 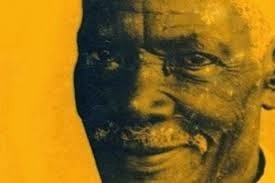 This week, to celebrate Henze's memory, the Center for Contemporary Opera offered two fully staged performances of El Cimarrón, ("The Runaway Slave") a demanding, but compelling hybrid between opera and song cycle written during Henze's two-year residency in Cuba. This was the first performance of this score in a New York stage since 1986. Renée Fleming returns to the water as a love-struck mermaid. 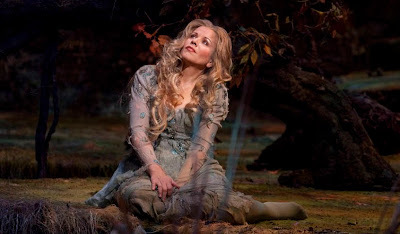 Fathoms below: Renée Fleming in the title role of Rusalka. The return of soprano Renée Fleming is always anticipated at the Metropolitan Opera. And here, she returns t the role that has become one of her signatures in the last 15 years: the title character in this revival of Antonin Dvořák's Rusalka. The New York Philharmonic plays Stravinsky, Zemlinsky and Mozart. 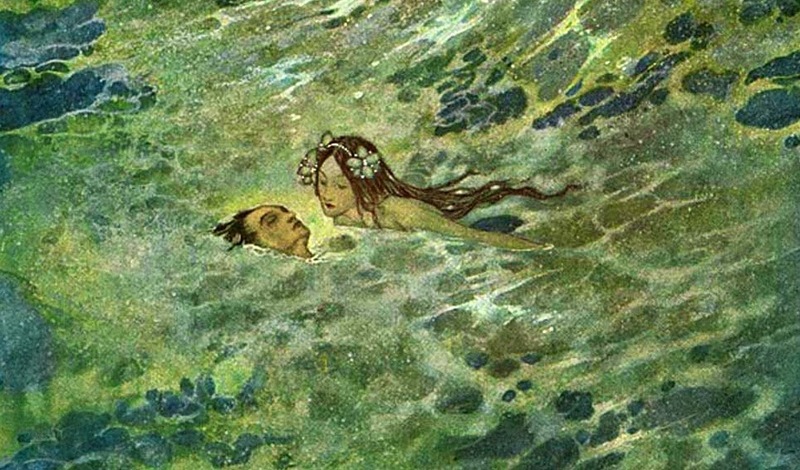 Detail from The Mermaid in the Sea by Edmund Dulac. As the New York Philharmonic gears up for next week’s season announcement, there is no drop in the quality of music being made at Avery Fisher Hall. That’s the impression, anyway from Friday’s 11am matinee concert, the second in a concert weekend featuring the young Russian conductor Andrei Boreyko and three interesting works from dusty corners of the classical repertory. The two large orchestral pieces on the program had this in common both were based upon the fairy tales of Danish author Hans Christian Andersen. The Met's current slate is ideal for the opera novice. Cio-Cio San (Amanda Echalaz) meets Pinkerton (Bryan Hymel) in Madama Butterfly. The month of January is the crux of the season at the Metropolitan Opera, when the company experiments with unusual repertory or quietly opens new productions that take familar works and redo them in an experimental manner (last year's Rigoletto). However, the Met's current slate of productions features four shows, currently running that are great for those coming to the opera for the first time. So if you're a novice looking to experience their first opera, or the veteran who wants to see a classic work for the first time in years, we've got you covered. The 15-month Minnesota Orchestra lockout is over. In a story that broke yesterday, the Minnesota Orchestra has ended its long lockout, putting to rest a labor dispute that turned into a Pyrrhic battle between musicians and management. The battle had a number of casualties, including the orchestra's music director Osmo Vänskä and 17 musicians who left the Twin Cities to play in other orchestras. A substitute soprano shines in L'Elisir d'Amore. A new vintage: Andriana Chuchman as Adina in L'Elisir d'Amore. The big story in the Metropolitan Opera's current revival of L'Elisir d'Amore is the absence of Anna Netrebko from the first two performances. With the Russian diva out with the flu, it fell to soprano Andriana Chuchman to step up and make an early Met debut. On Monday night, in the second of her two scheduled substitutions, Ms. Chuchman proved herself to be one of the memorable new talents taking the stage this season--and a testament to the Met's ability to have quality backups in place in case a singer becomes unavailable. Alan Gilbert conducts the New York Philharmonic. Lisa Batiashvili nd friend. Photo by Anja Meara © 2013 Deutsche Grammophon. There are two ways for a modern symphony orchestra to play Beethoven. An orchestra can make his music the main focus, usually featuring at least one of the symphonies and maybe a concerto. The other: juxtaposing Beethoven with other composers, putting his work in context. This week's Philharmonic program (heard Friday night under the baton of music director Alan Gilbert) took the latter approach, alternating Beethoven compositions with works by Shostakovich and Gershwin. 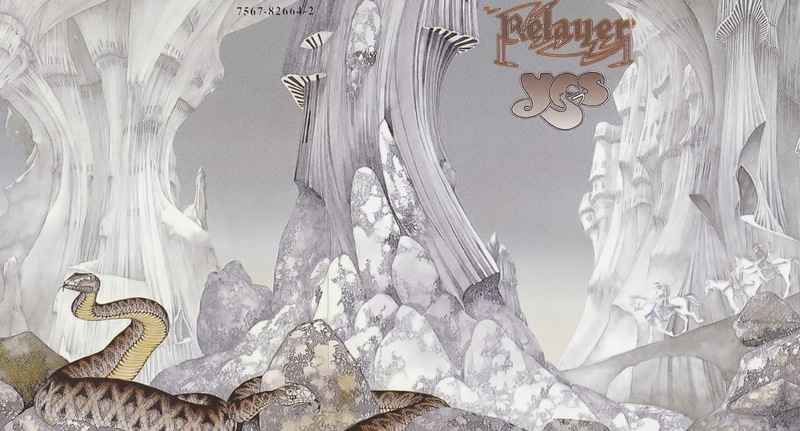 Detail from the cover of Relayer by Yes because it's a cool album cover. Painting by Roger Dean. Album art © 1974 the artist/Atlantic Records. I was working on an article on my ten favorite symphonic/orchestral recordings but got stuck on it. So to shake the cobwebs and freshen up the blog, I thought I'd share with you a list of my ten favorite rock, hard rock and progressive rock albums. This list is always subject to change and is presented in chronological order. And it's not an all-time "top ten" or anything, just some recommended listening for when you need a break from Beethoven and Shostakovich. Anna Netrebko to miss first two performances of L'Elisir d'Amore. 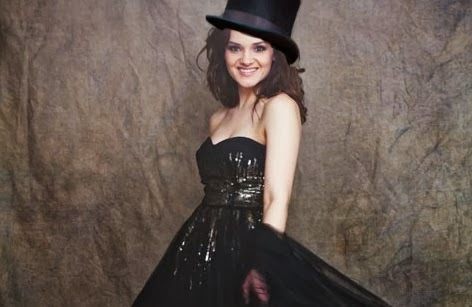 Pass the hat: Anna Netrebko is ill. Andriana Chuchman will make an early Met debut as Adina in L'Elisir d'Amore. 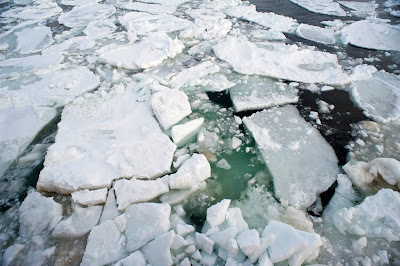 Photo by Chia Messina for Opus 3 Artists. Photo alteration by the author. 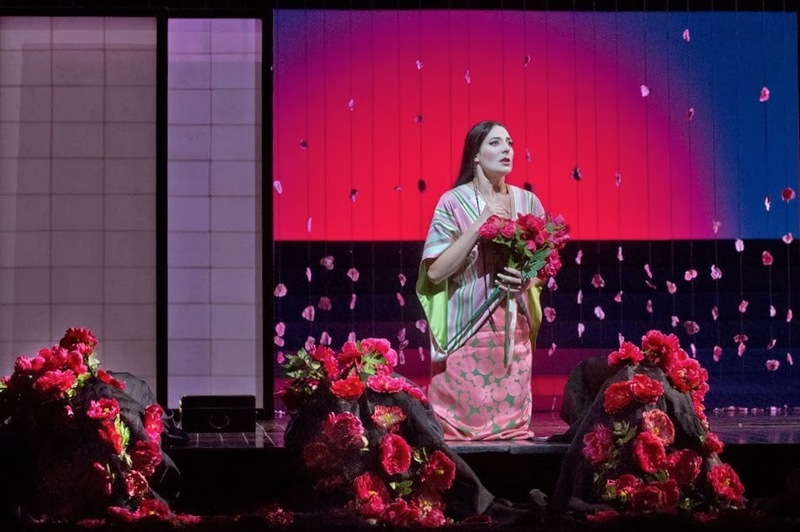 L'Elisir d'Amore will return tonight at the Metropolitan Opera, but without Anna Netrebko. In a late-breaking story, the Russian soprano has bowed out of the first two performances of the Donizetti opera, citing illness. Tonight marks the first performance of the bel canto comedy this season. The New York Philharmonic plays Rouse, Lindberg and the Tchaikovsky Fifth. 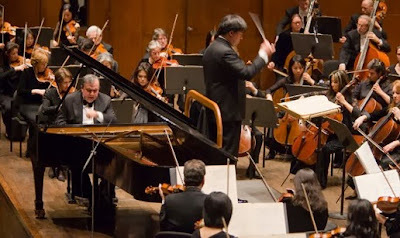 Yefim Bronfman (at piano) and Alan Gilbert (with baton) at the New York Philharmonic. Despite the lashing snow and battering winds that briefly turned Lincoln Center into a winter playground on Thursday night, the New York Philharmonic's subscription concert under the baton of Alan Gilbert (the first of the new year) was solidly attended. The performance, featuring two works by modern composers and a crowd-pleasing symphony followed the current theory of pairing so-called "new" music with a sturdy war-horse that can drive the point home to even the most stubborn listener. Gotham Chamber Opera presents La descente d’Orphée aux enfers. The ensemble in Gotham Chamber Opera's La descente de Orphée aux Enfers. Photo by Richard Termine © 2014 Gotham Chamber Opera. That's the question currently being asked by Gotham Chamber Opera with the first New York performances of Marc-Antoine Charpentier's unfinished La descente de Orphée aux Enfers, an opera which the composer left as a two-act torso in 1687. On New Year's Day, the company unveiled its production of the opera, allowing New York opera lovers to start the year by journeying three centuries back into the past. 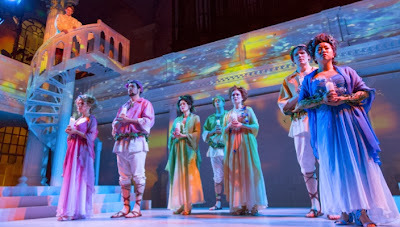 The opera production is part of Trinity Church's third annual Twelfth Night Festival. Superconductor looks back on the best of the concert hall. 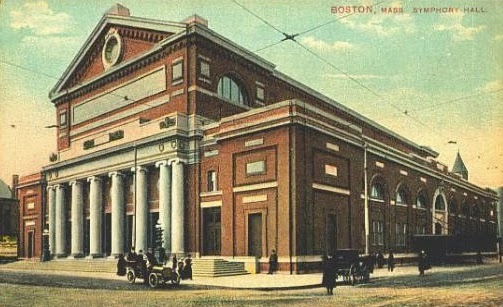 Boston's Symphony Hall in 1912. Now there's a frozen yogurt place across the street. Here at Superconductor I go to a lot of concerts. I hear a lot of music. Here's our list of thirteen performances in 2013 that were memorable and worth a second look. Ladies and gentlemen, (some more of) the best concerts and choral performance of last year. The Met waltzes in 2014 with its new Fledermaus. The art of operetta came back to life last night at the Metropolitan Opera. 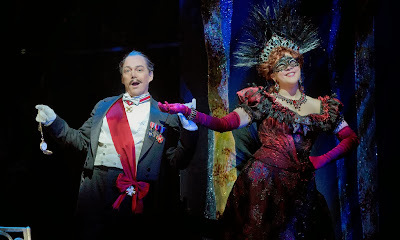 On New Year's Eve, the company unveiled its eagerly anticipated new production of Johann Strauss' Die Fledermaus. The premiere, a glitzy gala occasion with many of the opera house's public areas roped off to accommodate A-list partygoers, proved to be an ebullient occasion, marking the return of this beloved work to the grand stage. This was a new production by Jeremy Sams, with glittering sets by Robert Jones.